I am so pleased to be hosting the blog tour for BLOOD SOAKED ASHES! The second novel in the Eramane Saga from author Frankie Ash is written to read as a stand-alone, or companion novel. Perfect for readers new to this series, they can start here with out feeling lost or confused! A legion from across the sea wants her dead. The man she loves would die a thousand deaths to keep her alive. The demon she fears would cover the lands in blood-soaked ashes to have her again. Eramane is learning to accept her new life, a life that demands much from her. She is a Breather, and she has no idea how to be one. But when Eramane learns that a passage she opened between her world and the Reach cannot be closed, she will find herself on a treacherous journey searching for dangerous allies. In the north are the Cloud Walkers; across the South Sea is a kingdom with a massive army. Both could end up destroying her and all that she loves, if the demon she thought was dead doesn’t do it first. Blood Soaked Ashes is the second book in the paranormal trilogy, Eramane, titled after the main character and heroine of the series. Eramane is equal parts fascinating and fiesty. She has lead not necessarily a sheltered life, more protected from outside influences under the thumb of overly protective parents. Now on her own and away from her family, she struggles to gain control over her ability as a breather all while trying outsmart the demon that would claim her as his own. Eramane's enemies want her dead, and the man she is in love with would die to protect her. A hell of a lot of good that would do, as it would leave Eramane alone and vulnerable. She will have to look north for help from an army that would just as soon see Eramane dead than help her. The list of enemies is much longer than her list of allies at this point, but Eramane is determined to master her ability and and save her world. This book has a lot of characteristics of Game of Thrones and that world that George RR Martin built. There are different kingdoms of sorts, people are fighting to gain control, different seasons and enemies out number allies. Admittedly, I have not read the first book in this series so I think I missed something important. But I will say that the writing style in this story is precise, detailed and cohesive. Several of the reviews I read for book 1 stated the story was choppy and disjointed, well I guess I came on board at the right time, because the storyline here flowed well and I was definitely impressed with the world building and character development. I'd recommend this read for anyone that likes paranormal fantasy, dystopan type of worlds in their stories. And as I previously mentioned, GOT fans will surely enjoy this book, but be aware it is age appropriate so not nearly as brutal or sexual as GOT, but the world is similar as is the writing prowess. These were a few of the many songs I listened to while writing Blood Soaked Ashes. Strange collection, but I like what I like. 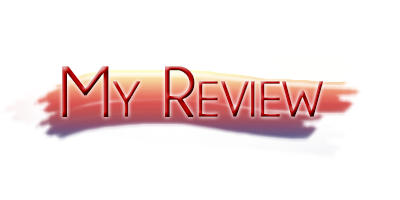 March 10th: Winterhaven Books REVIEW + WHAT'S IN FRANKIE'S BAG?